A dental emergency is a state where a patient needs immediate dental care. The condition can be accompanied by pain, bleeding or swelling. The treatment offered by our dentist ensures that patients are relieved from pain and the teeth, gums or other soft tissues are protected. It is important to note that the treatment offered during a dental emergency can have long-term impacts on the oral health of the patient. 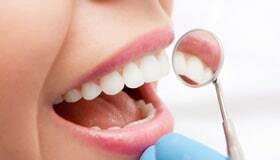 Therefore dental emergencies are treated on priority at our Cathedral City, CA dental office. Our dentist educates patients about how to prevent dental emergencies from occurring. We believe that proper care can avoid dental emergencies in the first place. A toothache is one of the most common dental emergencies we take care of at our office. There are a few reasons why a toothache can occur. The most common cause is tooth decay. Food remains in the oral cavity can attract bacteria in plaque, which feed on sugars to release acids that can dissolve natural teeth. As a result, the cavity is formed. The infected tooth starts to pain when the bacteria reach the pulp of the tooth. Our dentist may recommend pain medicines to patients who are suffering from a toothache. The decayed part is removed and the tooth is restored quickly. Patients who have swelling can use the cold compress to reduce it before they visit our dental office. Broken tooth can lead to pain and bleeding. Patients can rinse their mouth gently and collect the remains of a broken tooth. Gauze can be used to stop bleeding. 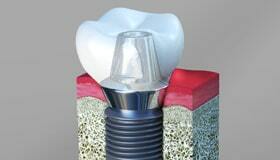 The broken tooth can be restored using appropriate restorative materials. When a tooth is knocked out it can be very painful and there may be bleeding. The knocked out tooth can be saved if it is put back in place within an hour of the incident. Patients should carefully pick the tooth holding the crown and gently rinse the tooth to clear dust particles without disturbing the root. 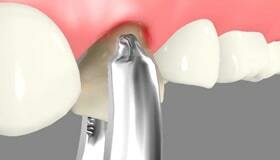 The tooth can be put back in the socket. If the patient is unsuccessful in doing so, the tooth can be preserved in the vestibule or in a container of milk and brought to our office at the earliest. When a dental filling falls out, the tooth may feel sensitive. patients can reduce sensitivity using cotton swab which is dipped in clove oil. 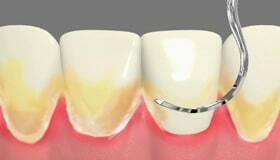 the tooth needs to be restored in order to prevent dental infection. The same applies to a fallen crown. patients can try and put the crown back to position to cover the weak tooth and rush to the dentist in Cathedral City CA. Smile Guru serves the Cathedral City CA and other surrounding areas such as Palm Springs, Thousand Palms, Rancho Mirage, Palm Desert, North Palm Springs, Desert Hot Springs and Sky Valley. We provide state-of-the-art family-friendly dental care in our dental office to ensure the health of you and your teeth. 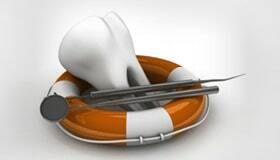 We provide dental emergency to save your natural teeth from dental trauma or other forms of accident. Call us at 760-318-4400 any dental emergency.